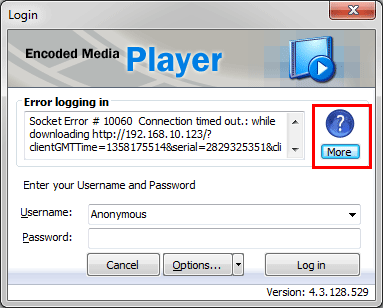 Encoded Media Player can be configured to connect with your TV Server and allow you to watch live television streams on your PC desktop. Press the OK button to submit your change, and then press the Loginbutton to connect. 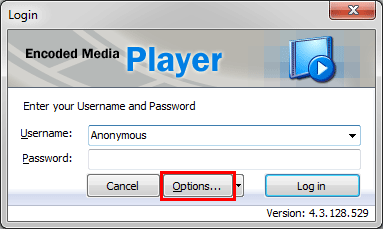 If you are connecting to a TV Server or Omni-Server version 2.8 or earlier, the username and password are not used. 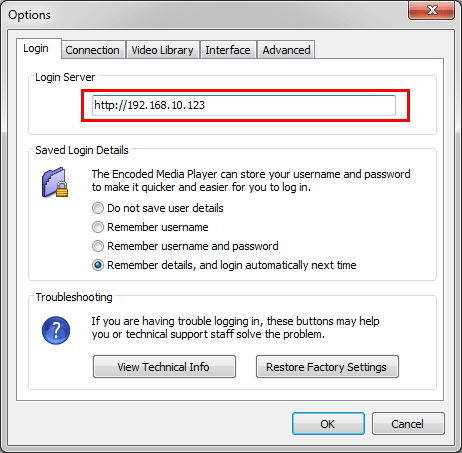 If you are connecting to a later TV Server or Omni-Server, you may be asked by your network administrator to use specific login credentials in order to gain access to a personalised list of channels. Check that you have the IP address for the TV Server or Omni-Server correct, and that the machine is on and accessible from elsewhere on your network. Be sure that a firewall is not preventing access. Be sure that your TV server or Omni-Server has been correctly scanned and configured and that there are no errors showing on the Status Page. If the channel in question is being streamed using unicast, be sure that the status page shows the card handling the channel is tuned and that the input data rate is non zero. 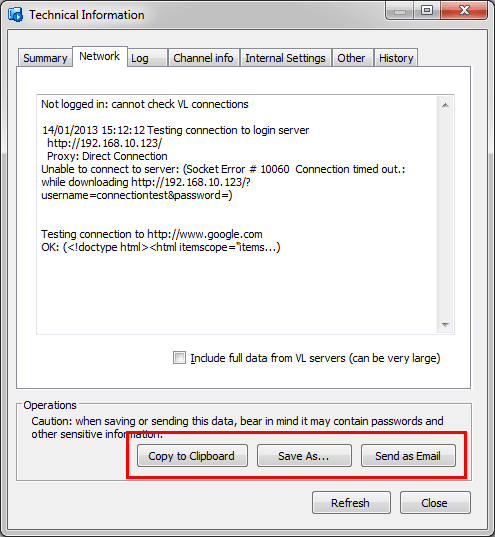 If the channel is being streamed using multicast, confirm with your network administrator that your network can handle multicast and that multicast packets are visible from your location.